Test Retirement For Sachin - No Way Sir !! Home Cricket Analysis Test Retirement For Sachin – No Way Sir !! 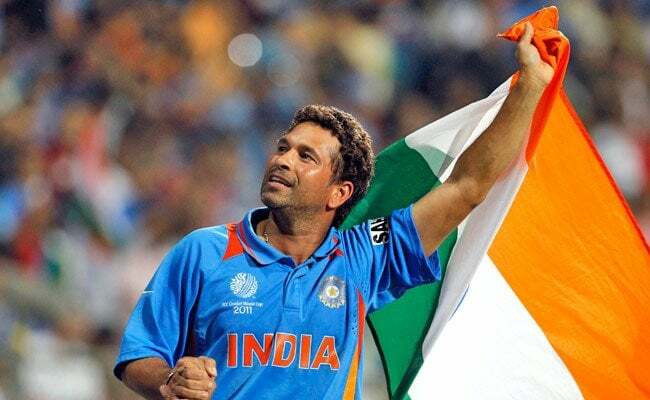 Test Retirement For Sachin – No Way Sir !! Test retirement for Sachin is something which gets everybody talking. Cricket’s favorite son has already retired from ODI cricket. But now, more than a few fingers are being about test retirement for Sachin. We tell you why Sachin should not and cannot retire from Test cricket. A short and simple at trying to find an answer to the big question- TEST RETIREMENT FOR SACHIN!!! With more than two decades of cricket, thousands of runs, innumerable records and an avalanche of knowledge in terms of the game to his name, test retirement for Sachin doesn’t fit well among those who worship him like a God. But what about those who don’t believe in what used to be and are more into what should be? 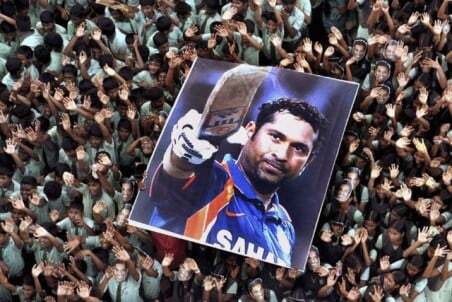 In a country like India, test retirement for Sachin has the capacity of becoming a vote-grabbing issue. The little master has a lot going through his head. With Indian Test cricket greats Dravid and Laxman saying a ‘sudden’ goodbye to the game, the entire pressure of carrying a young and inexperienced Indian cricket team now rests with the greatest cricketer of all time. But a lot depends on the answer to the big question regarding test retirement for Sachin. This is why the debate surrounding test retirement for Sachin is of huge importance. 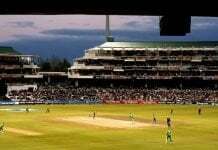 In India, the word cricket is synonymous with the word Sachin Tendulkar, and hence it will take more than just a few flashy articles or outright remarks to bring the GOD of cricket down. The entire cricket fraternity has their eyes set on test retirement for Sachin. Yes Sachin Tendulkar will have to hit the retirement button someday. We will we get to read about Sachin’s retirement from Test Cricket someday. But is this the right time for test retirement for Sachin? The year 2012 saw cricket’s greatest saying goodbye to the game. Ponting, Hussey, Strauss and Boucher all retired from all forms of the game thereby putting some more pressure on those who have decided to stay back. There is no doubt that Laxman was actually ‘removed’ unceremoniously and it took THE WALL- Rahul Dravid only one bad series to drop the bat and loose the gloves and pads. But what is this curious case of test retirement for Sachin? Without getting into the details, let us simply observe some stats and try and reach to a conclusion. We take a look at the two giants of Indian cricket and their record over the last two years that they played. This will help us in solving the mystery surrounding test retirement for Sachin. Dravid scored at an average of 42.63 runs per innings (in 47 innings) with a total of eight centuries to his name. Ahem!! Laxman had an average of 39.65 runs per innings (in 47 innings) with three centuries. Sachin Tendulkar had an average of 35.72 runs per innings (in 37 innings) with two centuries to his name. If we observe the figures stated above, it is quite clear that despite of averaging better than Sachin and even after scoring more centuries than Tondulkar, Dravid and Laxman bid farewell to the game with nobody really questioning their presence in the team. Whereas, a lot of people have been talking about test retirement for Sachin. So why does Sachin Tendulkar continue to play? Isn’t it time for test retirement for Sachin? Well, the answer is NO. And we tell you why! Who opens for India? Currently, which are the two batsmen responsible for giving India those dream starts? Well they are Virendra Sehwag and Gautam Gambhir. Whereas, Gambhir has scored at an average of 31.14 runs per innings with not even a single century to his name. So basically, the opening duo is not doing well thereby inviting the likes of Rahane and Mukund as experimental openers. 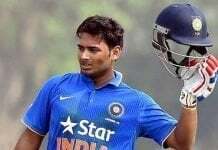 Now when we reach the middle order, you have Kohli and Pujara in the waiting. But both of these batsmen are pretty low on experience and not that high on confidence either. Pujara is surely going to be a huge asset for the team some day and Kohli will emerge as a great batsman in future, but as of now, both of them need some time to get comfortable with the only genuine format of the game i.e. Test cricket. Rohit Sharma’s repeated failures and Yuvraj Singh’s off and on appearances reassert the fact that the Indian cricket team is need of that one man who can show them all the way. This is another big and definite no to test retirement for Sachin. Dhoni has been more than effective in ODIs and T20s but a lot is expected out of him in Test cricket as well. Suresh Raina’s repeated failures in this format of the game have made the selectors forget him while preparing the list. His domestic form must be converted into international achievements. Till then, we must have Sachin to train and guide these young lads, so another NO to test retirement for Sachin folks. So all said and done, Sachin Tendulkar remains that one person in the Indian Test squad who has all the experience in the world and can guide this young lot towards the gate of success. This is where Sachin is needed the most and the question mark on test retirement for Sachin should be removed instantly. Test retirement for Sachin will be a huge blow for this young Indian team as all the players seek to learn a lot from him. The team needs him now, more than ever. It is quite something to watch a set of glorified cricketers talk about the need for test retirement for Sachin on some TRP hungry news show. It is indeed some food for thought when you read the article written by an experienced cricketer emphasizing on the fact that the day has set for Sachin Tendulkar. But do these people really know what test retirement for Sachin would mean? Sachin is that glue which holds the team together right now. He is like that father in the house who speaks once and everyone listens to him, and is obliged to do what he wants them to do. You cannot expect the team to flourish without the proper combinations and experience which can only be achieved and gathered by playing with the finest. How can we talk about test retirement for Sachin then? So why stress when the little man is all fit and rearing to go? As it is, test retirement for Sachin in ODIs was a big blow to Indian fans and even the game itself. Let’s do one thing everyone, let’s burn all the newspapers, get rid of the magazines and turn off our TV sets. Let’s just sit outside in the sun and wait for the little master to call us back to our TV sets. And when someone talks about test retirement for Sachin, you can just say- WHAT test retirement for Sachin? I’m sorry. I don’t know anything about test retirement for Sachin, not now.